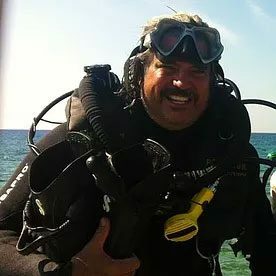 Brian is a second generation SCUBA Instructor with 34 years of experience. He is a Certified SCUBA Instructor through NASDS & SSI. His latest achievement is his certification as a Poseidon MKIV Rebreather instructor! After years of working and running dive charter boats, he began teaching people how to dive. He joined Mac’s in 1988 and shortly thereafter became Manager. When Brian leaves Florida on vacation, he heads to the ski slopes in Utah and Colorado.